Look at the above picture. It's an iconic picture of Esports. Hundreds of thousands of people, gathering in the depth of night to celebrate the finals of the Proleague. It symbolizes the peak of Esports, the hope that every and each one of us share for this game, the dream that one day Starcraft will reach the stars. Theres something special about this game. The exhilaration as marines split against banelings, the adrenaline that drives through you as a doom drop approaches, the utter happiness we share as our favorite foreinger reaches the round of four for the second time. To people outside, it's hard to understand. Why is this video game so special? Why is it better than any other? And that's precisely the problem where E-sports lies today. 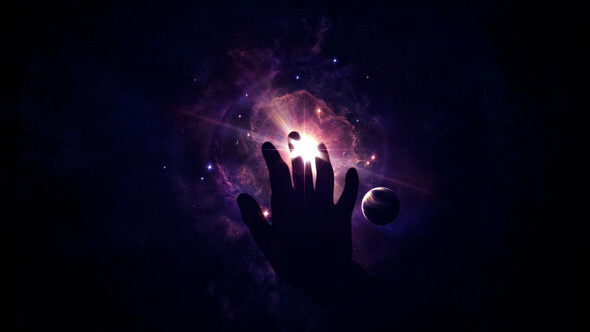 The chance for a boom, a leap of the gods, an explosion, this is what can happen if we grab the stars that lie above us. I don't know why I decided to write this today. I've read threads, of people trying to get espn to show starcraft, of people who host tournaments out of their own money, of people who work tirelessly to satisfy the greatest community on earth. I don't know why I decided to do this. But I realized, even if it didn't "fit in my schedule", I realized that I must. For E-sports to become big will not the results of a few select individuals. It will not be day9 who makes E-sports big, it will not be the sponsors, it will not be the casters, the players, the streamers. It will be the combined effort of all of those, the result that only a community can achieve. I'm not sure what to call this thread. A plea? A request? Whatever it is, the point is that everyone has to join in the effort to make e-sports big. Tell a friend to buy the game, watch a tourney, visit their sponsers. Email G4 to stream starcraft, take the time out of your day to actually do something for the sake of e-sports. I'm a man who doesn't know many things. But of one thing I am certain: For Starcraft to become big it will be because we decided so. It will be because on a certain day people got the drive in them to actively help e-sports. It will be the day that people go to LAN's instead of watch online, that people watch tourney's live instead of specific replays, that people support the community which is vital for this game. So that's it really. This wasn't a huge petition, an annoucement, it was a request for the community. To go beyond in helping E-sports, to not only play the game, but to aid it as well. I have a dream that one day Starcraft will become huge, that players will earn millions, and many will say that is impossible. But the only way that things can get done is with a dream, and when you have dreams, anything can happen. And you don't have to do all of these. You don't even have to do one. But the point is that unless someone does, this game will not reach its full potential. I myself am planning to go to a LAN this year, and even though I will probably go alone, into a place where I know no one, I know that it will be great, because this community is the best community in the world. And I will travel into the unknown, and email G4, and look like a fool and write weird semantic posts because I believe in the idea of E-sports. So if you can't do these things, believe you can. Because trust me, one day, you really will, and on that day you won't know why. But just like me, you'll realize you must. It was actually proleague finals, and it wasn't hundreds of thousands, liberal estimates put it at 110k . I hope esports makes it big with giant crowds etc, but it is an extremely optimistic hope for the US, a large portion of the viewership in korea are females, how many females will go to a live starcraft event in America? Not many, the stigma associated with gaming is still too large, I believe however, Europe will be first to break into a more standardized form of sc2 esports. And I will be attending my fair share of Lans in the future, MLG DALLAS 2011 YEAH. Shame BW could never make it big in America . The definition of esports applies to all games, but ur ideal is only about starcraft (biased much?). Way to neglect all the other games man. IIRC, Halo and COD are doing really good. Halo and Cod being successful *could* help starcraft break into the scene even more..but yeah I could care less about them. The only other real games that I could really care about are CS or WC3. If their growth helps Starcraft, then Im all for it. But for now, the priority really rests on SC at least in my eyes for it has the most potential. Well this didn't get as much discussion as I had hoped :p.
Yet I was wondering, did I really make a difference? For example, today I decided to write a post on G4tv saying how I wished they would air Starcraft Two. Poll: Did I convince you to be more active with E-sports? Your vote: Did I convince you to be more active with E-sports? In order to make e-sports big, it has to happen at a corporate level, IMO. Blizz could try astroturfing with TL.net, but it would be easier for them to partner through parent Vivendi with NBC to get national airtime. Jaedong beats other players. Bisu beats other players, in PL. Flash beats Starcraft.